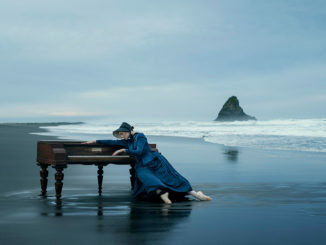 Royal New Zealand Ballet Artistic Director Patricia Barker commissioned four new ballets in recognition of the 125th anniversary of women’s suffrage in New Zealand, coinciding with the company’s 65th year. Strength & Grace brings together one local and three international choreographers, comprising a balance of contemporary and classical vocabularies who view the season’s provocation through different lenses. Unusually, each work is preceded with a short video of the choreographer introducing herself, and describing her approach and choreographic intentions. It is an endearing and successful segue, allowing glimpses of the works in rehearsal. Grand Rapids Ballet resident choreographer Penny Saunders responded to the season’s provocation by “imagining conversations and power struggles that… happened in homes around the world as women campaigned for the vote”. So to speak is the result of these imaginings; a thoughtful work grounded in a movement vocabulary of gesture and character motifs. Kirby Selchow as Mother and Loughlin Prior as Father are perfectly cast, providing superbly controlled partnering and detailed characterisation. Prior’s performance is layered, bringing depth and nuance to the character and leaving no room for a one-dimensional villainous archetype. Physically he is clean and precise, matched beautifully with Selchow’s length and poise. So to speak introduces a Daughter, danced by Caroline Wiley, to the narrative, allowing the urgency of youth to feed into the family dynamic. Ensemble dances appear as shades of the central trio, evolving the work at a successful and entertaining pace. 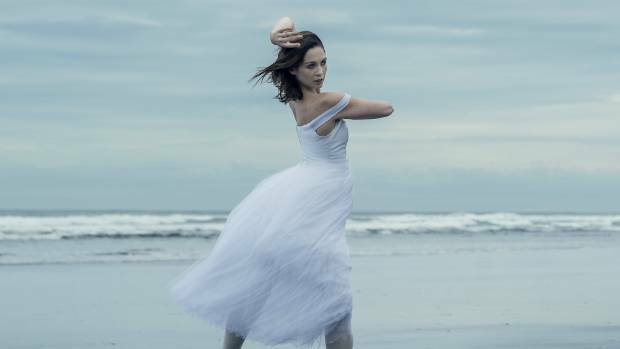 New Zealand choreographer Sarah Foster-Sproull’s debut work for the work Royal New Zealand Ballet feels long overdue as she creates work almost exclusively in Auckland, meaning that much of the country has missed out on her dynamic and important choreographic voice. Despite the Loss of Small Details grows from the season’s title Strength & Grace, focussing on the strength of the women’s suffrage movement, the strength of women as allies, and the strength of support and touch. Foster-Sproull works from a feminist perspective, and her programme notes touch on the profound impact the work of pioneering feminists has on our lives today. Seamless and brilliantly combined sound, lighting, costume and movement deliver punchy opening moments causing the audience to gasp audibly several times. With a pulsating soundtrack by Eden Mullholland, the work is urgent, the choreography quick, isolations powerful and appealing. Foster-Sproull’s choreographic tasking results in a markedly different repertoire of movement than she usually curates with contemporary dancers. Although the execution of steps is rapid, the extension and length of the classical vocabulary mean that some momentum is lost in the middle part of the work. Familiar motifs such as the halo of hands on the periphery of Abigail Boyles’ head and body mean that Despite the Loss of Small Details is unmistakeably Foster-Sproull’s. Work of this nature demands a strong and intelligent stage presence from its dancers; a deified Boyle is the resplendent idol Despite the Loss of Small Details requires. Boyles’ sophistication, technical control and rich movement quality could not be matched by a less-experienced artist. I find myself reflecting on how fortunate we are to have her onstage following the much-publicised uncertainty around her contract with the company earlier in the year. The work finishes as powerfully as it began; a superhuman Boyle bourrees, raised arms filled with the discarded fur coats of the cast, filling the theatre with her presence. Remember, Mama by Australian choreographer Danielle Rowe is inspired by the phrase “behind every great man is a great woman”, which sits oddly with the other works in the programme. The phrase itself feels both old-fashioned and patronising, and the celebration of motherhood reads more like a celebration of producing a male child. Rowe mentions the cycle of life – that in the end the son cares for his aging mother – and I can’t help but think that the majority of aged care is so often shouldered by women; daughters, daughters in law, nieces and professional caregivers. The Mother, danced by Nadio Yanowsky, interacts reverently with The Son as a projected silhouette, as an infant, teenager and finally an adult. A large corps of Mothers and Sons populate the ballet, creating beautifully fluid, kaleidoscopic ensemble lifts, moving swiftly throughout the space. Stand to Reason by Andrea Schermoly is the final and most powerful work of the programme. Schermoly approached the provocation of the season academically, and the result is a work of sensitivity, depth, and intelligence. The Women’s Christian Temperance Union distributed a pamphlet describing ten clear reasons why women should vote, and it is this heartfelt, logical writing that underpins Stand to Reason. Schermoly’s comments about womens’ experiences of having to explain and re-explain (our reasons, our value, our worth, our experiences, the challenges to our authority and equality) resonated with many audience members. In this way, the work was simultaneously historically accurate and poignantly current. Eight women, costumed perfectly in black, epitomised the Royal New Zealand Ballet at its contemporary best. Abigail Boyle, Madeleine Graham and Mayu Tanigaito contributed powerhouse performances with extension, stability and attack, mastering emotionally rich choreography with the elusive illusion of grace. Set to a mixed score, Stand to Reason finishes with Beethoven’s Moonlight Sonata, an instantly recognisable piece of music that could easily overshadow a lesser choreography. Schermoly gifted Kirby Selchow with the standout solo of the Strength & Grace programme, and Selchow rose to the occasion, demonstrating that she is at the peak of her physical power, with vitality and presence in spades. Stand to Reason resonates with emotion at the end, the women crouched on the floor yet shaking with determination. Brigitte Knight reviewed Strength & Grace during its season at the Wellington Opera House, 17-18th August.